Ethan is based out of New York where he lives in Brooklyn. He works in theater, TV/Film, and commercials. He grew up in LA and went to school in Chicago where he got his start interning and later working at Steppenwolf Theater. He then apprenticed at the Actors Theater of Louisville, and moved to New York thereafter. Ethan is a regular of the new play theater scene in New York, and is a member of the Generation Artistic Committee at Playwrights Horizons. He is also a member of the Actors Center. 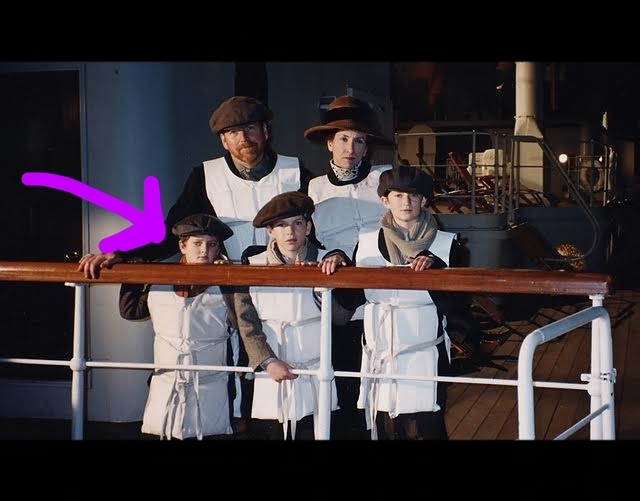 A still as an extra on the set of "Titanic." There I am, literally holding the bar high even at so young an age.